As a boy he held many jobs: Sweeper in his grandad’s printing office, snow shoveler, lawn mower, Kool-Ade and comic book salesman, and delivery boy for the Pittsburgh Sun-Telegraph and Uniontown Morning Herald, among others. He did undergraduate work at Cornell, the University of Pittsburgh, and Columbia, then served in the U.S. Army medical corps at Fort Knox, Kentucky, and Fort Sam Houston, Texas. Following army service he did graduate work at the City University of New York, Hunter College, Yeshiva, the University of California, and Cornell. He climaxed his teaching career as New York State Teacher of the Year after being named New York City Teacher of the Year on three occasions. He quit teaching on the OP ED page of the Wall Street Journal in 1991 while still New York State Teacher of the Year, claiming that he was no longer willing to hurt children. 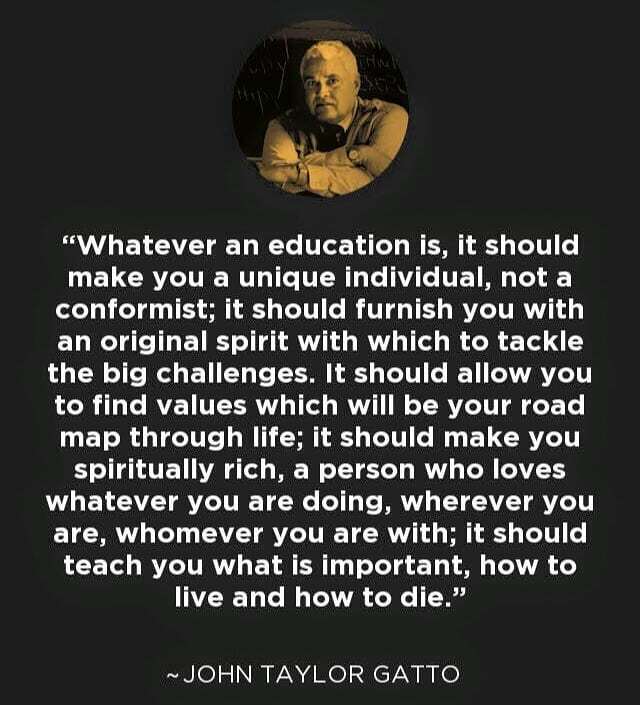 Later that year he was the subject of a show at Carnegie Hall called “An Evening With John Taylor Gatto,” which launched a career of public speaking in the area of school reform, which has taken Gatto over a million and a half miles in all fifty states and seven foreign countries. 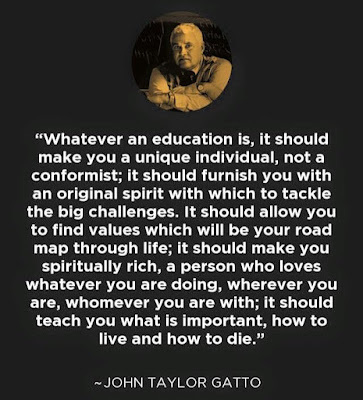 "he was no longer willing to hurt children"
Gatto’s office is in New York City, his home in Oxford, New York, where he is currently at work on a film about the nature of modern schooling. For more information about this film, including investing and production opportunities, email his agent at: info@JohnTaylorGatto.com. Gatto has been married for forty years to the same woman, and has two grown children and a cat. He hopes to build a rural retreat and library for the use of families pondering local and personal issues of school reform.